Barcelona – THREE DAYS! That’s all that stands between me, and Pulp. In concert for the first time in over nine years, this Sheffield band is a mere 72 or so hours away from reintroducing themselves to the public in a big way. Disco 2000 is a song I consider the most important in my life. It changed everything. Before Pulp, I was a fairly normal music listener, just taking whatever was in the top forty. After hearing this song, I went down the path that any indie music fan takes – the one where you find music you like, instead of having music given to you. Surprisingly enough, I caught Disco 2000 on Muchmusic one Saturday afternoon when I was watching some special they had called “Red Hot Much” or something. Anyways, I was blown away by this song. It was super catchy, clever and had a wonderful hook that just stayed with you far after the song was finished. 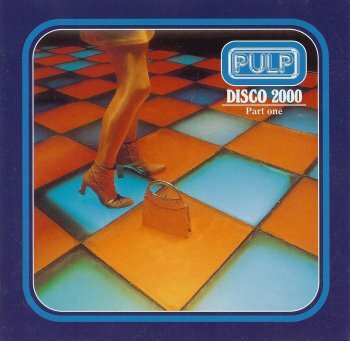 After hearing that song, I went about looking up this random band named Pulp, then I went to HMV and bought the cd and after a few listens it was over – I was a Pulp fan and thus began the great music odyssey that has cumulated with me in Spain about to hear a song that led me down the path that I have taken. It’ll be awesome. You should play Disco 2000 at the 90s party!